Nocatee is having a Drive-In Movie Night this Friday, May 10th. 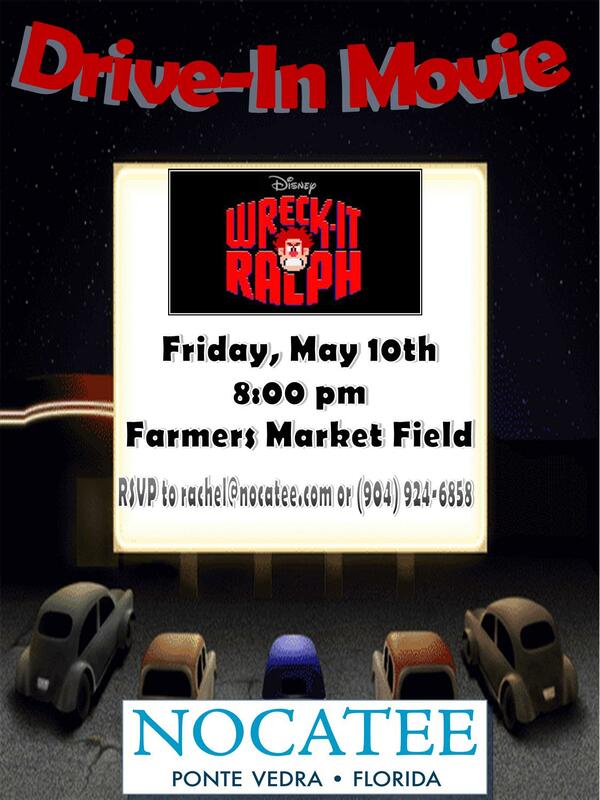 Anyone interested in attending a Nocatee event with current community members & learning more about the lifestyle, should join us on the Farmers Market Field for a 8 p.m. showing of "Wreck-It Ralph." Dagwood's Food Truck will also be on site to offer fun & tasty "drive-in" themed treats!